Numerous studies have shown that she, or he, doesn’t want flowers or chocolates for Valentines. Your love wants you. Specifically, an experience you can share together is the best gift possible and if it’s a unique experience, it’s a memory you will share forever. Fine dining is great, but how memorable will it be? 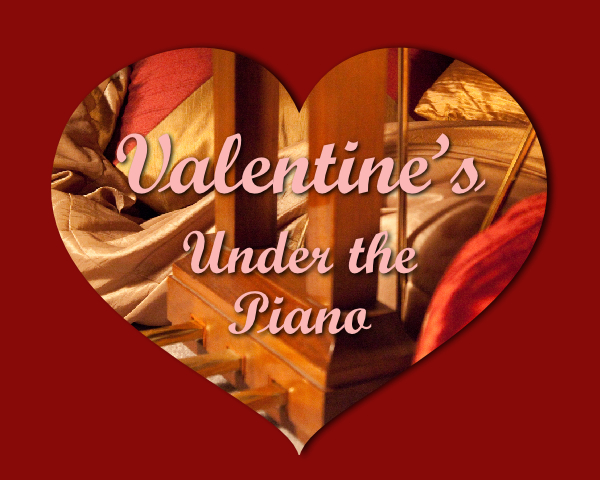 Well if music is your thing, especially beautiful piano music, Under the Piano is the gift experience waiting to happen this Valentine’s Day. On Sunday the 15th, I have 2pm, 4pm, 6pm and 8pm available. On Friday the 13th, I have an 8pm spot available. Call me today, to book an experience you and your love will never forget. All sessions are prepaid to secure your premium seats Under the Piano. Visit www.UnderThePiano.ca for more information.